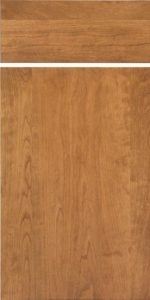 The flush batten door is a solid wood, glued up door with solid wood battens screwed across its back to keep the door stable and minimize the chance of warpage. Consider our Astoria and Savoy doors for a door that looks the same (clean, one piece look), but uses a composite core to keep the door stable without using battens. This also results in a door that is much less expensive. 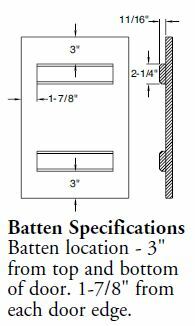 Door can be ordered without the battens, but it is not recommended except when the door size is small. Not available in Inset cabinets.